LBA Hospitality has announced the newest addition to its management portfolio. The recent addition clearly meets our objective of managing premium-branded hotels located in prime urban markets that we believe will continue to experience strong growth for decades to come ”, commented Beau Benton, President of LBA Hospitality. 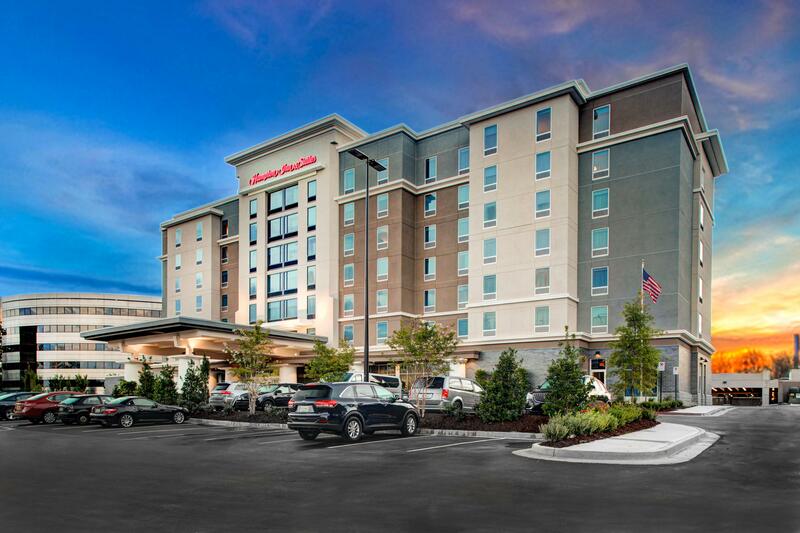 LBA Hospitality, a premier hotel developer and operator, has announced the addition of the Hampton Inn & Suites by Hilton Atlanta Perimeter Dunwoody hotel to its management portfolio. Owned by a subsidiary of Apple Hospitality REIT, Inc., the Perimeter Dunwoody hotel is located within walking distance of Perimeter Center Mall, several restaurants, Fortune 500 companies and the MARTA rail station, which provides convenient rail service to downtown Atlanta and Hartsfield-Jackson Atlanta International Airport (ATL). The transaction marks the Company's first management assignment in the Atlanta metro area. Situated off I-285, less than 10 miles from SunTrust Park, the 132-room Hampton Inn & Suites by Hilton Atlanta Perimeter Dunwoody hotel offers sophisticated surroundings and a friendly service culture that makes sure guests are 100 percent happy. The hotel offers value-added amenities including free hot breakfast, complimentary Wi-Fi, meeting space with audio and video projection, 24-hour business center, heated indoor pool and 24-hour fitness center. Each technology-enabled guestroom provides an uncomplicated travel experience with spacious rooms and added-value amenities that gives travelers the convenience they want and need. Local statistics show that Atlanta reached a milestone for visitation in a single year, welcoming 53 million visitors in 2017. This represents three percent growth from the previous year and $15 billion in visitor spending. “The recent addition clearly meets our objective of managing premium-branded hotels located in prime urban markets that we believe will continue to experience strong growth for decades to come," commented Beau Benton, President of LBA Hospitality. Established in 1973, LBA Hospitality is one of the leading hotel management, development and consulting companies in the US. With an extensive portfolio of hotels located in the Southeast and Southwest, the Company is a recognized leader developing and operating the most respected brands under franchise licenses of Marriott International, Hilton Worldwide and InterContinental Hotel Group. For more than four decades, LBA Hospitality has continued to set a higher standard in hotel development, management and guest satisfaction, resulting in sustained, profitable growth for owners. For more information, visit http://www.lbaproperties.com.